Throw away the detergent and forgo the elbow grease: pesky proteins can now be removed from surfaces by simply exposing them to light, thanks to a reusable titania template developed by A*STAR researchers1. 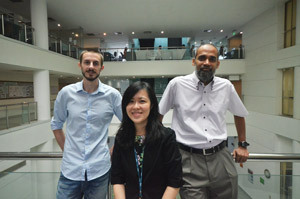 From left to right: Mark Moxey, Karen Chong and MSM Saifullah from the A*STAR Institute of Materials Research and Engineering. Biologists have many reasons to pattern surfaces with proteins, from creating highly selective biosensors to studying fundamental processes such as tissue formation. 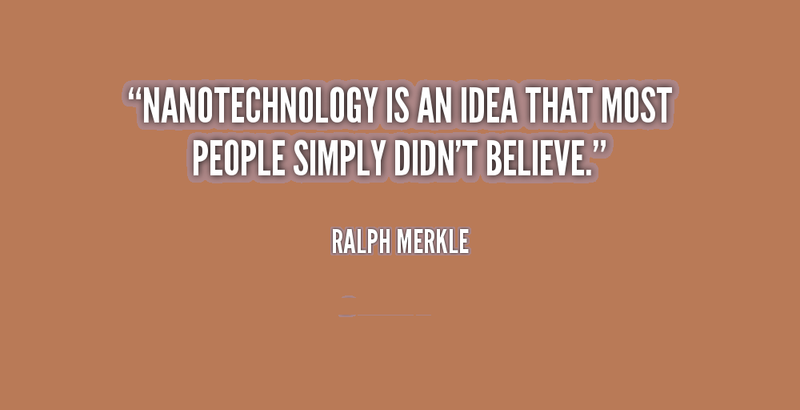 What they don’t want, however, is for the proteins to stay on the surface indefinitely. Unfortunately, ridding a surface of proteins is a complicated and time-consuming task, which means that the majority of biologists typically throw away their substrates after a single use — leading to a high cost for consumables. Moreover, due to the complexity of fabrication systems, biologists usually outsource their chip manufacturing to engineers, which introduces delays and further exacerbates cost. Chong notes that to be practical, fabrication techniques must be either easy to use or have the potential to be scaled up to produce commercial quantities. Consequently, she and the team focused on two techniques: interferometric lithography for the former and nanoimprint lithography for the latter. Both approaches yielded surfaces with titania nanostructures (see image) that were then covered with protein-resistant silanes. Exposure to ultraviolet light degrades the silanes, which allows proteins to adhere to the selected regions. After the protein-patterned substrates have served their purpose, Chong describes how “the proteins on the chips can be quickly removed, by just exposing the used substrates to ultraviolet light, without the need for elaborate cleaning methods.” The substrates can then be immediately reused without the need for further preparation. “With the recyclable chip and the technique that we have demonstrated, fabrication techniques are no longer the exclusive domain of engineers,” remarks Chong.